VERO BEACH, Fla., February 26, 2009 — Piper Aircraft today announced that it will offer the AmSafe Aviation Airbag System as optional equipment on all its new PA-46 luxury aircraft and for aftermarket installation on all other current models.. AmSafe®, Inc., a leading provider of safety and securement products, will work in concert with Piper and its dealer/service network to distribute the life-saving airbag system. “Piper customers around the world depend on our network of authorized sales and service centers. They rely on the thousands of skilled service technicians to safely outfit and maintain their aircraft,” said Ray Phair, Director of Customer Support/Service/Spares, Piper Aircraft. 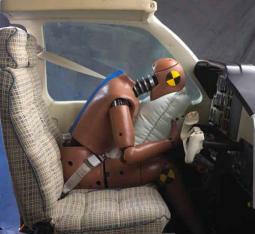 “Becoming an authorized sales and service partner for the AmSafe Aviation Airbag System is yet another example of Piper’s commitment to innovation and ensuring the safety of the Piper family of pilots and customers.” The AmSafe Airbag System is a self-contained, modular restraint designed to improve occupant protection from serious head-impact injury and enhance the ability to exit the aircraft following an otherwise survivable accident. 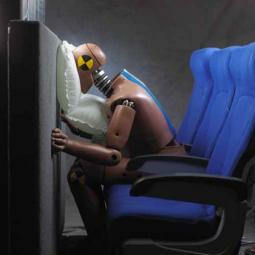 When the system’s sensors detect a crash, an airbag built into the restraint deploys up and away from the seat occupant—unlike automobile airbags, which deploy toward the occupant. The AmSafe Aviation Airbag System has been rigorously tested to meet Federal Aviation Administration (FAA) and European Aviation Safety Agency (EASA) requirements. In service since 2001, the AmSafe Aviation Airbag System adds less than three pounds (1.36 kg) to existing pilot and co-pilot restraint systems. In addition to having been embraced by general aviation pilots and manufacturers, the AmSafe Aviation Airbag System is featured in the fleets of more than 30 commercial airlines around the world.